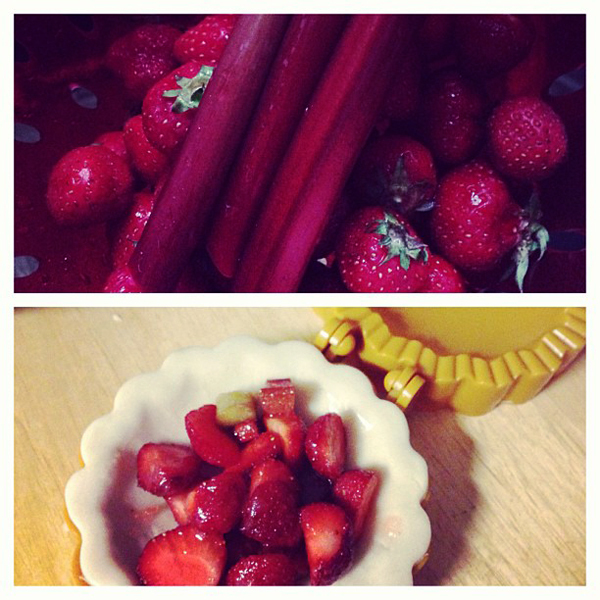 We got another basket of strawberries in our CSA share this week. What goes great with strawberries? Rhubarb. Aaron LOVES rhubarb and has two big rhubarb plants in the backyard. 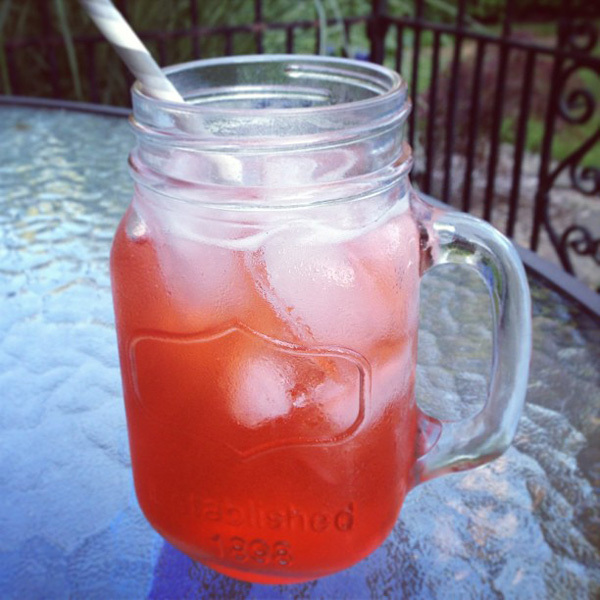 I "borrowed" a couple stalks to make this homemade strawberry rhubarb soda. It's pretty easy. 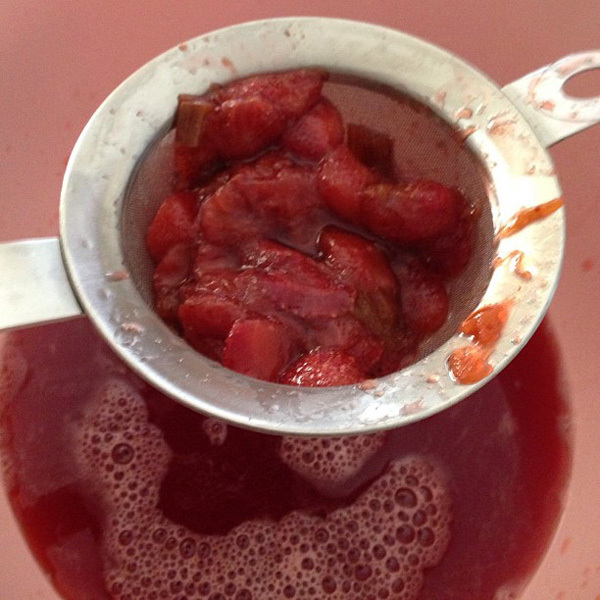 You just make a strawberry rhubarb simple syrup and mix it with sparkling water. Boil it all together and let it simmer for 10 to 15 minutes. Mix it with sparkling water to taste. 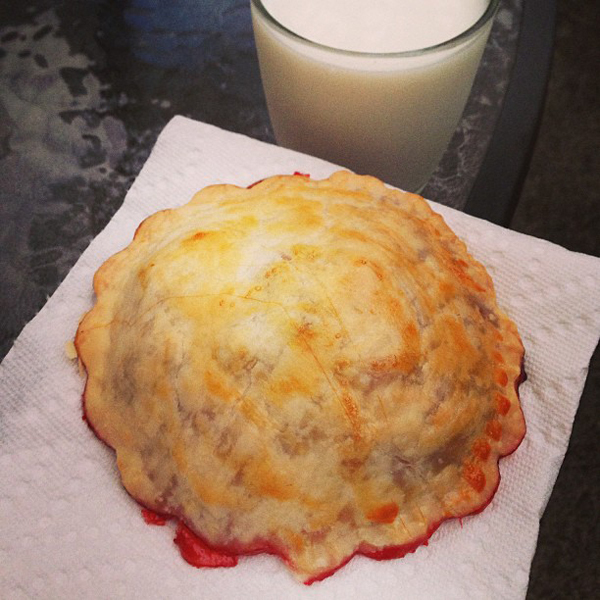 The soda only used half the strawberries, so I raided Aaron's rhubarb again and made filling for strawberry rhubarb pocket pies. Add a nice tall glass of cold milk and he didn't complain about his depleted rhubarb supply too much.